Are you dealing with an expert or salesperson? The fitness industry has become saturated with opportunistic salespeople. Real expertise or general regard for clients’ goals, needs, and safety has fallen to the wayside, replaced by empty promises and vague assurances of results. The word “results” has lost its meaning in the fitness industry. Promises of results are meaningless without accountability, and results themselves are meaningless unless the client can define the results they wish to achieve. With Maximum Performance, you establish your goals. You define what results you want to achieve. We guarantee the achievement of those results, regardless of your goals. Anyone with an objective to improve their health, athleticism, physique, etc., is driven by results. With Maximum Performance, our own measurement of success is no different. Salespeople deliver promises. Experts deliver results. Allen established the business upon relocating to Lexington in 1999, Allen earned a B.S in Kinesiology from the University of Kentucky in 2004, with a concentration in Exercise Science. 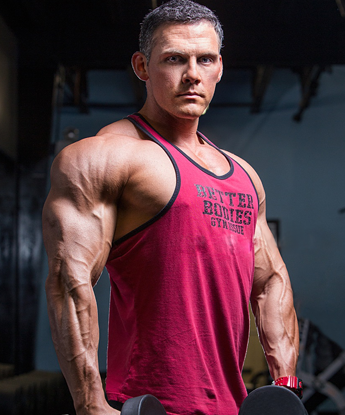 To broaden his education and stay apprised of current developments in fitness and training, Allen has subsequently become a certified Strength & Conditioning Specialist and Trainer, via the National Strength & Conditioning Association (NSCA), one of the most prestigious and rigorous certification programs available. Allen has also authored numerous articles on www.wannabebig.com. Nicole Cress is a health and wellness coach and the co-owner (with her husband, Allen Cress) of Maximum Performance Training, where she helps others reach their fitness goals through online coaching. She holds a degree in exercise science from Transylvania University and advocates living a balanced lifestyle, guiding her clients to focus on being whole and well in mind, body and spirit. She is the Founder of SheLifts Womens Retreat. A national-level bikini competitor who has been competing since 2010, Nicole is also a Team BeautyFit-sponsored athlete with a mission to help women feel beautiful inside and out. About the 2 of us! It wasn’t until 2014 that Allen brought Nicole on staff as an online coach as well. Together they can reach a diversity of clientele with their compounded educational and professional developments. Allen and Nicole demand just as much from themselves physically and only lead clients in ways that they themselves also lead. Allen has been a successful competitive bodybuilder for the past 15 years, successfully competing and placing 1st in such noteworthy regional events as the Northern Kentucky Championships and the Kentucky Derby Classic, Indiana Championships along with other contests such as the Bluegrass Muscle Classic & the Kentucky Muscle,. Allen has also competed in a number of powerlifting competitions, posting personal best records of a 560lb squat, 545lb deadlift, and a 390lb bench press at a body weight of 180 lbs. Nicole competed for the first time in 2004 and soon realized that she did not carry enough muscle to be competitive as a figure athlete. The bikini division was introduced in 2009 and Nicole knew that this was the division better suited for her body type. She has exceled at the regional level always pulling off a top 3 placing and top 10 placings at the national level. Ready to start or do you still need to know more? We are ready to get you started. Please click below to select the best plan for your needs. If you still have questions please reach out to us so that we can answer any questions you might have. How far apart should your meals be? The old school way is to eat every 2 hours and for some that can work, but for others that can cause issues. Then how do you know how long you should wait to eat your next meal? This is where you need to listen to your body and also just use some common sense. If you are feeling full or even slightly bloated 2 hours after a meal do you think it's a good idea to give your gut more food to try and breakdown, probably not. That's just going to cause even more back up and food will likely be sitting there fermenting and placing stress on your system not to mention you will likely be passing some pretty lethal gas from the fermentation of all the food still sitting there. So easy fix, just wait longer between meals even if its 4 hours. There is no magical window that makes you build muscle faster or lose fat. If a meal is more calorically dense or higher volume it will likely need longer to properly digest than something like a piece of chicken and veggies. If you are not absorbing the nutrients you are eating what's the point of pounding all that food anyway? Morning and afternoon training each day. Owning the extreme range in the lengthened position with RDLs today, full pause on every rep. During my current training phase I'm emphasizing a lot of mechanical damage by spending time in the lengthened position of many exercises. I believe and have seen with many of my clients that being able to fully control the end range of the lengthened position can be one great way to really stimulate hypertrophy by inducing more mechanical trauma. This is much harder than it sounds as many don't actually pause in the lengthened position WHILE keeping tension in the targeted muscle, many just tend to relax then do another rep. This is basically like doing repeated singles because of the loss of tension. Remember one key factor to hypertrophy is Time Under Tension. So if you are going to do a certain type of stimulus apply it correctly to reap the benefits.